THIS SCHEDULE WILL CONTINUE TO BE UPDATED AS ADJUSTMENTS ARE REQUIRED. The only parameters for participation in one or more of these tournaments is that you enter two-person teams, all teams are composed of novice debaters (i.e. debaters in their first year of competition), and that you provide 1 judge (or 1 panel of 3 judges) for every two teams, or fraction thereof. Registration will take place through Tabroom.com. In order to enter the tournament, you will need a Tabroom.com account AND each debater's name must appear on the list of names associated with your NSDA Chapter. No awards will be distributed at the conclusion of each after school tournament. Coaches are responsible for entering their own debaters' NSDA points. Steven Davis, Washburn Rural Assistant, will be the series administer, but specific questions about any of the tournaments should be directed to the Director of Debate of the tournament(s) you are interested in attending, or Dustin Rimmey, Topeka High, NSDA Flint Hills District Chair. If you have problems, or questions, with respect to Tabroom.com, please contact Steven Davis at davisste@usd437.net. Entry requires 2 debaters on each team. If an unavoidable last minute emergency occurs, every effort will be made to allow "mavericks" to participate, but schools should do everything possible to insure that teams entered will be composed of 2 debaters. In order to complete all three rounds in a timely manner, it is imperative that judges enforce time restrictions. Rounds that start late, MUST still end at the scheduled time. Speeches will just have to be even shorter. To the extent possible, Rounds 1-2 will be scheduled randomly. Round 3 will be powered Hi vs Hi off of Round 1 results. Each participating school should make every effort to provide 1 judge for every 2 teams, or fraction thereof, entered. If a school has difficulty meeting its judge obligations, the school should contact Dustin Rimmey or Steven Davis no later than the morning of the tournament for assistance. Consult the "Custom Page" that addresses this year's agreed upon Novice Affirmative case areas. 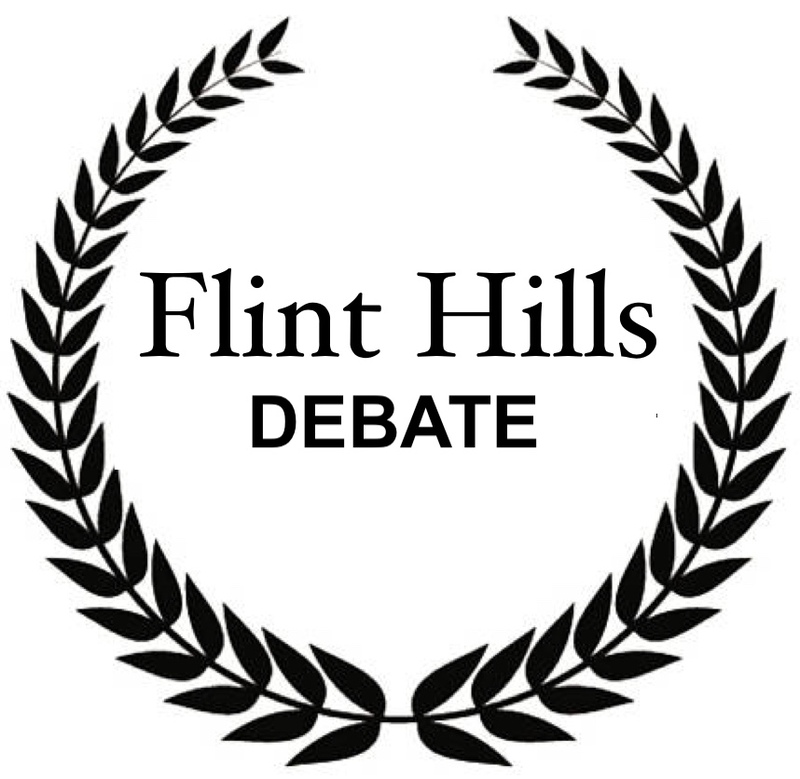 At the yearly meeting of Flint Hills coaches in August , it was decided that this year's case area limitations would be used in ALL Flint Hills After School tournaments this year.